Getting a site listed on top results on search engines is the most cumbersome task a small business house always toils in. The major players including Google, Bing, etc have predisposition to prefer big brands, and this very nature of search engines make the task cumbersome for small businesses and they never get listed in top results. Any idea, why big boys are always ahead when it comes to SEO? Well! It is actually the meticulous planning that they do to promote their brands online. Right from searching suitable keywords to writing content on their products at length; and from sharing their products on social media site to social visual sites, they do everything and anything. They have the time, they have the workforce, and they make the most of all available techniques which keep them on top, always. 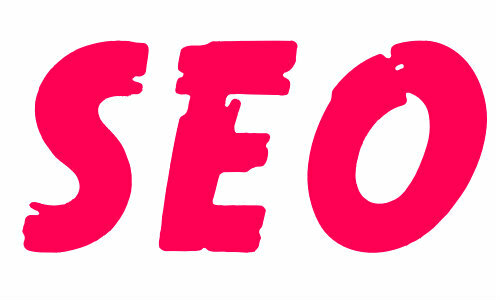 Read: Does SEO Still Exist As A Standalone Service? So, does it mean that Search Engine Optimization (SEO) is of no use for small businesses, or, is SEO just about to guard their company against the local players and not the big ones? Do not panic. It is not true. It is just that you got to be really smart and brainy. The very basic approach is to be CONSISTENT in your efforts. Big companies must be doing a lot, but you, instead of worrying about the result, keep investing in search engine optimization at your convenience. Design a beautiful website, write impressive content and keep changing it on frequent interval, arrange your products portfolio systematically, keep flexible payment options, design extremely attractive visuals for your business, and keep upholding competitive and specific keywords. All these things should be consistently practiced. They may not help you beat big ones, but at least keep you on top among local players. The next important thing is – to be INNOVATIVE. There must be something that distinguishes you from the big online stores. It might be cost, quality, quick delivery of products, or any other thing. There has to something unique about your company. You just need to find out that uniqueness and promote it all around. Read: Does Advertising In AdWords Help In SEO? The real important thing is – GET LOCAL. In many cases Google, Bing, and other search engines prefer local searches. You can think of local dedicated server hosting, which is one of the best tool to fight big players in local market. Further, you can create a local profile on Google and other directories. While listing your profile on Google or calling for citation, you should be alert and make sure that you use same format for your NAP (Name, Address or Phone Numbers). Besides, you should make efforts to invite lot of review to your company or products. NAP should be used on every page of your site in the same format that is there on Google local listing. Local SEO techniques for both on page and off page SEO methods may differ a lot. It is indeed a very huge subject and your really need to consult SEO experts to take up the job aggressively. Social media sites are great platform to promote your business locally. Recently, Facebook launched Graph Search – A tool that help you search things among a targeted group or communities. By making the most of such tools, small business can really rock. An avid blogger, Sandy Pardal leads the team of creative people at WebStartToday, which is a website builder that helps small businesses to build free websites. Online marketing comes to him as a deep passion. He likes to experiment with websites, track their performances and share his insights with readers. gone down in the rankings, did I pick a bad SEO’er?